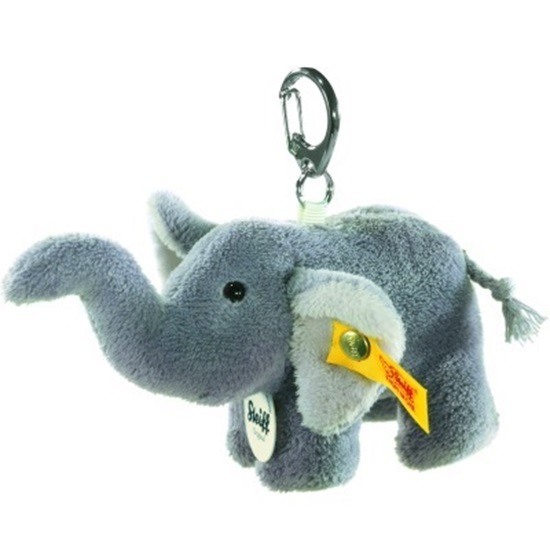 This elephant keyring is a soft gray plush and is 4 inches tall. he Elephant Keyring is made of cuddly gray, soft plush, is 4 inches tall and is machine washable without the keyring.Perfect to decorate backpacks, and big enough to easily locate the keys in your purse. This keyring comes with the yellow tag "Button in Ear".